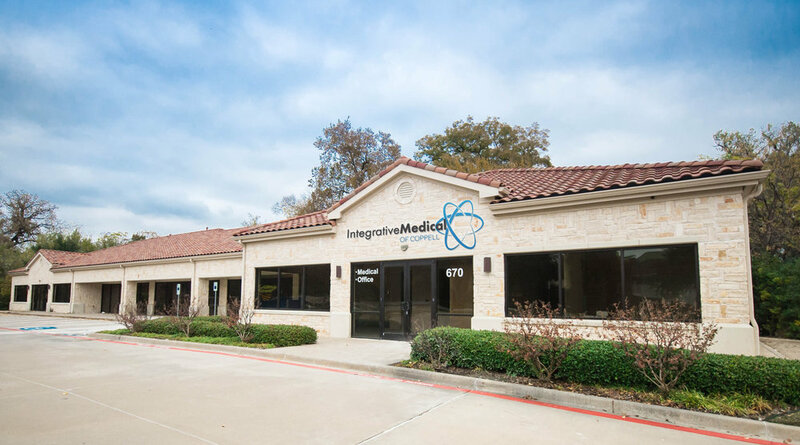 Integrative Medical of Coppell is a multidisciplinary clinic that offers comprehensive health care for the entire family. It is our goal to offer accessible, convenient care in a warm and friendly environment. Our practice offers a variety of treatment options, including conventional medical care, complementary and alternative medicine, chiropractic care, and physical rehabilitation to provide patients with an integrated approach to health. We are conveniently located near 121 in Coppell, providing easy accessibility from Lewisville, Carrollton, Irving / Las Colinas, Grapevine, and surrounding North Dallas areas. We accept patients of all ages, and make every effort to accommodate walk-in visits. Our mission is to offer compassionate, individualized, and comprehensive medical care to improve and restore quality of life for every patient we treat. Derek Frye, O.P.A - C., D.C.
"Kevin Epple has been our family doctor since October 2007 and has always provided the absolute best care, best advice and treatment during every visit and for every issue. His demeanor and bed-side manner is calm, positive, professional, thorough, attentive, flexible, and personal. He genuinely cares and he makes an investment in the health and well being of his patients. His nurse, Yvette, is absolutely wonderful! If you are looking for a doctor whose medical knowledge is encyclopedic, treats the whole person, and takes the time with you, then Kevin is someone you should consider visiting." "I have referred friends to Kevin. He will spend the time he needs to get you back whole again. Dr. Frye saw a friend of mine with a back problem and referred him to a orthopedic instead of jumping in and cracking him. Very professional team and staff seems very supportive." "I have been here to see both Dr. Frye and Kevin Epple. Both providers have been great. I struggle with allergies, migraines, and low back issues. Dr. Frye has been able to treat all of these in a natural, non-invasive way. With regular maintenance adjustments my migraines have dropped from 1 a week to 1 per month. When I came down with strep last week, Dr. Frye had Kevin see me. Kevin run a quick strep test, and prescribed the antibiotic I needed. It is SO nice to have both my chiropractor and PA in the same office." "Dr. Frye, Kevin, and the staff at Integrative Medical will take great care of you from the time in, the time out and after your visit. They care about their patients, spend time with and help you because they really do care. The staff is courteous and extremely helpful / attentive. This is the one stop shop for whatever you may need. Kevin is personable and you will feel 100% comfortable speaking with him and planning any treatments. Dr. Frye is not just a chiropractor, he knows his stuff and can help you with relieving your pain.""